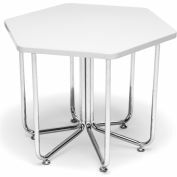 There's no limit to classroom configurations with OFM HEX Stools, Model 66. 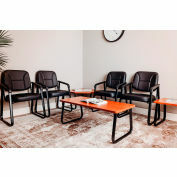 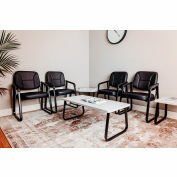 The unique hexagonal shape allows for easy group configurations, or comfortable side-by-side seating that still gives everyone their own space when it's time for one-on-one instruction. 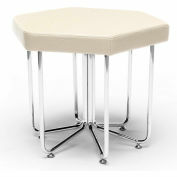 HEX stools come in your choice of five upholstery colors. 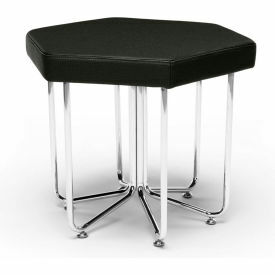 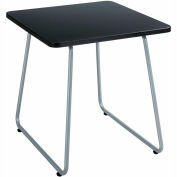 Durable chrome legs resist dents and dings, plus stools move easily on glides that protect your floors.